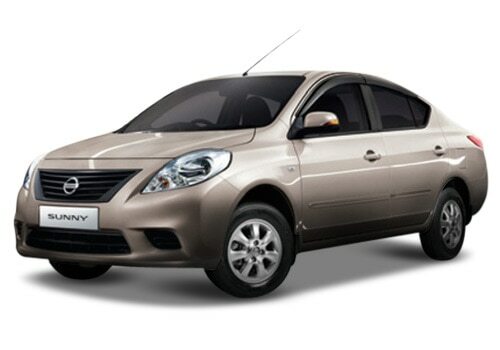 Good news for the Nissan lovers as the Japanese auto maker has launched the special edition of Nissan Sunny in India. The special edition of Sunny made available with two engine options such as petrol end diesel and the Nissan Sunny price is at Rs. 8.6lakh for petrol variant and Rs. 9.86 lakh for the diesel car variant and all prices are based on ex-showroom prices in Mumbai. The company has added some of the advanced features to the car while giving some cosmetic updates. Now the new Nissan Sunny features includes advanced 2-Din touch screen infotainment system along with rear camera. The cosmetic updates includes the leather seating arrangement and the chrome plated rear spoiler, which gives a new look to the car. However, the mechanics of the car remains to be the same as the existing version. The company has launched this vehicle silently in the markets but just advertising it in the Times Of India News paper this morning. Apart from this, there was no promotion made for this vehicle in the auto markets, which helped the company to took everyone by a surprise. Recently, there was rumors suggesting that the CVT Nissan Sunny will be launched in the markets, which were confirmed by the company. However, there is no word yet regarding the official launch date. Nissan has not just brought a new edition to its new customers but it also opened doors for its existing Nissan Sunny owners to get the features that are added to the special edition. This is certainly a big news for the Nissan cars enthusiasts in India. These features will assist the driver to get complete information in the infotainment system given in the car. Thus, people who are already the owners of Sunny can make a visit to the nearest dealer to get all those features by paying some amount of money. Nissan Sunny Special edition has now got an appealing look both inside and out. The leather seating arrangement inside gives a premium look to the inside while the chrome plated rear spoilers adds sporty look to the car. The overall appearance of the car is simply stunning as shown in the Nissan Sunny pictures. There is no doubt that the newly launched Sunny will satisfy all your needs, especially in terms of features. Moreover, it is one of the high performing and the best selling sedan cars in the domestic markets. It would be great to place an order for this car as the company has opened pre-orders for the special edition of Sunny.